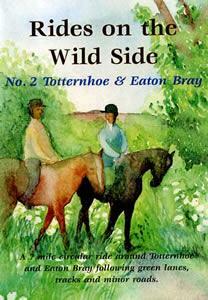 Walks on the Wildside No.2 Eaton Bray at Eaton BrayWalking RouteA 3 mile figure-of-eight walk through the village and fields, of Eaton Bray. A 3 mile figure-of-eight walk through the village and fields, of Eaton Bray. How to get there by car: Eaton Bray is on the B4506 off the A5 nearest to Houghton Regis.